Does Green Coffee Have Health Benefits? You’ve all heard about green tea and its health benefits. But have you heard about green coffee? I’m sure many of you are not yet very familiar about this. Yes, there is such a thing as green coffee and just like the green tea, it also has health benefits. In fact, regular consumption can lead to weight loss. 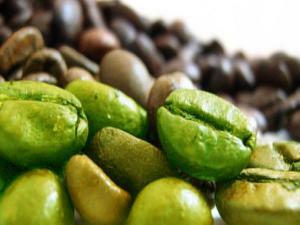 Green coffee is made up of unroasted beans and low in caffeine which makes it a non-stimulant. It contains additional chemicals not found in regular coffee. One is chlorogenic acid which reportedly prevents fat absorption. Chlorogenic acid is a polyphenol which has antioxidant and anti-inflammatory properties. It has also been found to lower blood pressure in a study on rats and humans. This amino acid called chlorogenic has two major benefits. It aids in balancing blood sugar by inhibiting the release of glucose in the body and it improves the metabolic output of the liver resulting in fat reduction. The coffee’s effect on a person’s weight was discovered in a study conducted at the University of Scranton. The 2012 research published in The Diabetes Metabolic Syndrome that monitored 16 overweight adults in 12 weeks found that people who took green coffee bean supplements lost weight by about 17 pounds. They followed their usual diet without any changes. Specifically, the subjects reduced their body weight by 10.5 percent and overall body fat by 16 percent. And take note, no negative side effects were reported. For those who’d like to try using green coffee beans as supplements, the health experts recommend using only the pure and organic high grade bean extract approved by the FDA.